Don’t be a Lawnmower Parent. This is the type of parent who cuts a path or “lawn” for their child by finishing everything for them such as finishing their child’s homework for them or resolving all their mistakes for them. In the end, their child never learns how to resolve their own issues or mistakes. While this is a “consistent” approach, it is not a healthy one. 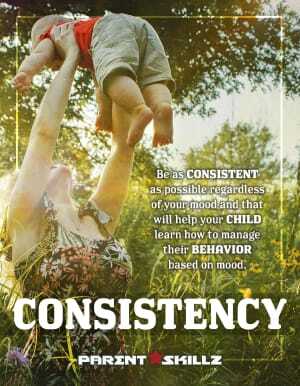 A better consistent approach is to let your child know that you will always strive to be connected, fair, attentive, patient and adaptable with them.